​Dr. Craig Johnson grew up in Eau Claire. After practicing for five years in Alaska, he returned to his hometown. 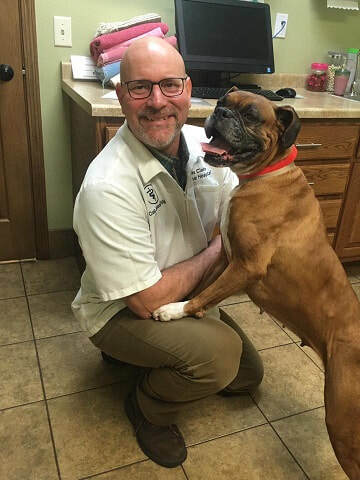 He assumed ownership of Eau Claire Animal Hospital in 2004. Dr. Johnson lives on a hobby farm in Elk Mound with his wife, Kristin and sons, Jake and Alex. His pets include Chloe a boxer and numerous cats and rabbits. He enjoys family time, gardening, camping and fishing. Dr. Cynthia Mather practiced in Illinois for five years, then moved to Wisconsin and joined the staff here full-time in 1994. Dr. Jodi Bohl grew up in Bloomer, WI. After practicing in Lake Geneva for two years and Menomonie for ten years, she joined ECAH in 2005. She concentrates mainly on dogs and cats. ​Dr. Mackenzie Jeffers grew up in the Eau Claire area. After graduating from UW-Madison School of Veterinary Medicine in 2007, she practiced in LaCrosse for two and a half years before joining ECAH in 2009. She works with dogs, cats, guinea pigs, and has an interest in ultrasound. When not at work, Dr. Jeffers enjoys running, hiking, scrapbooking and enjoying the outdoors. Dr. Jeffers lives in Chippewa Falls with her husband, Cory, Golden Retriever, Sheldon and cat Dr. Leo Marvin. ​Dr. Amber Gooden grew up in southwestern Minnesota on a small hobby farm and moved back to Eau Claire at the age of 12. She graduated from Memorial High School in 2006 and UWEC in 2010. 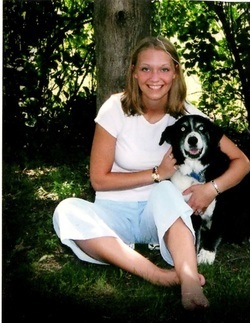 She worked at a local clinic for 6 years before attending veterinary school at UW-Madison. She currently lives in Eau Claire with her 3 cats and 2 dogs. Dr. Amber Dequaine grew up in Northeastern Wisconsin on a small hobby farm. She completed her undergraduate in Equine Science at the University of Wisconsin - River Falls. Dr. Dequaine lives in Glenwood City, WI with her two cats, Willow and Aurora and dog, Archer. In her free time she enjoys riding horses, hiking, backpacking and photography.